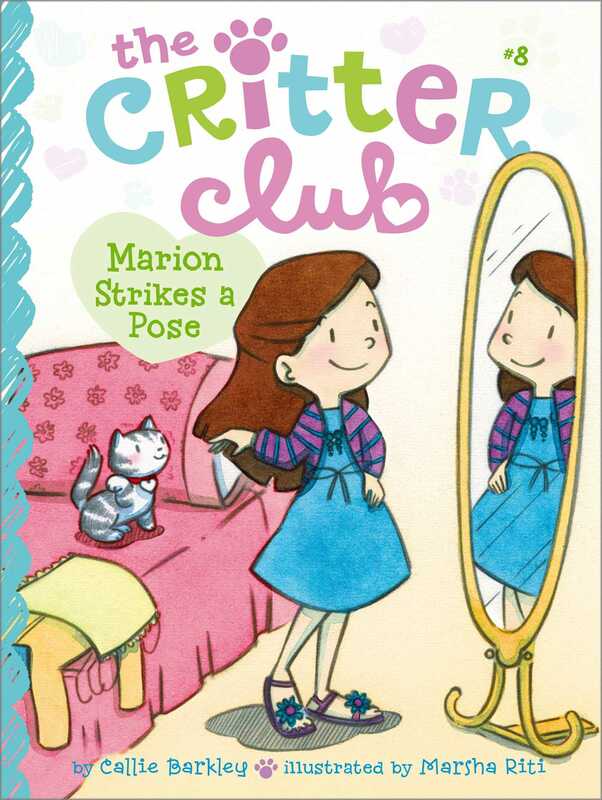 Fashionista Marion enters a styling competition in the eighth book of the Critter Club series—but will she regret helping out one of her competitors? Marion is so excited. There’s an upcoming kids’ fashion show for charity, and the students at Santa Vista Elementary get to style an outfit for it! Since only one design from each grade will get picked for the show, Marion knows she has to win. So she’s surprised when a girl named Olivia asks her for some style advice. Marion agrees to help Olivia, and actually has fun doing it! But problems arise when Marion realizes that Olivia has designed the exact outfit Marion had planned to present to the judges. So Marion tells a little white lie in order to get her way. At first, she is excited to impress the judges, but soon, another feeling creeps up on her. Is it guilt? Will Marion tell Olivia what she did? And whose outfit will get picked for the fashion show? Plus, Marion deals with taking care of some frogs at The Critter Club! With easy-to-read language and illustrations on almost every page, The Critter Club chapter books are perfect for beginning readers. Callie Barkley loves animals. As a young girl, she dreamed of getting a cat or dog of her own until she discovered she was allergic to most of them. It was around this time that she realized the world was full of all kinds of critters that could use some love. She now lives with her husband and two kids in Connecticut. They share their home with exactly ten fish and a very active ant farm. Marsha Riti illustrated the picture book The Picky Little Witch by Elizabeth Brokamp. She lives in Austin, Texas, where she likes to take long walks, stopping frequently to pet neighborhood kitties.